It can be sewn onto industrial work wear or corporate uniform. 1. 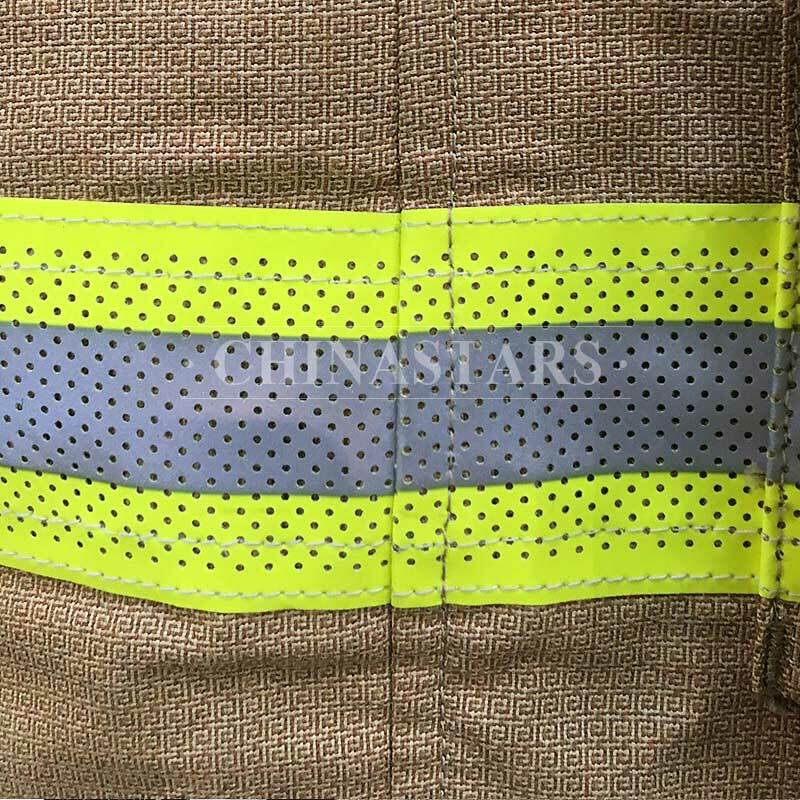 Breathable with combined performance: fluorescent, retro-reflective and flame retardant. 2. 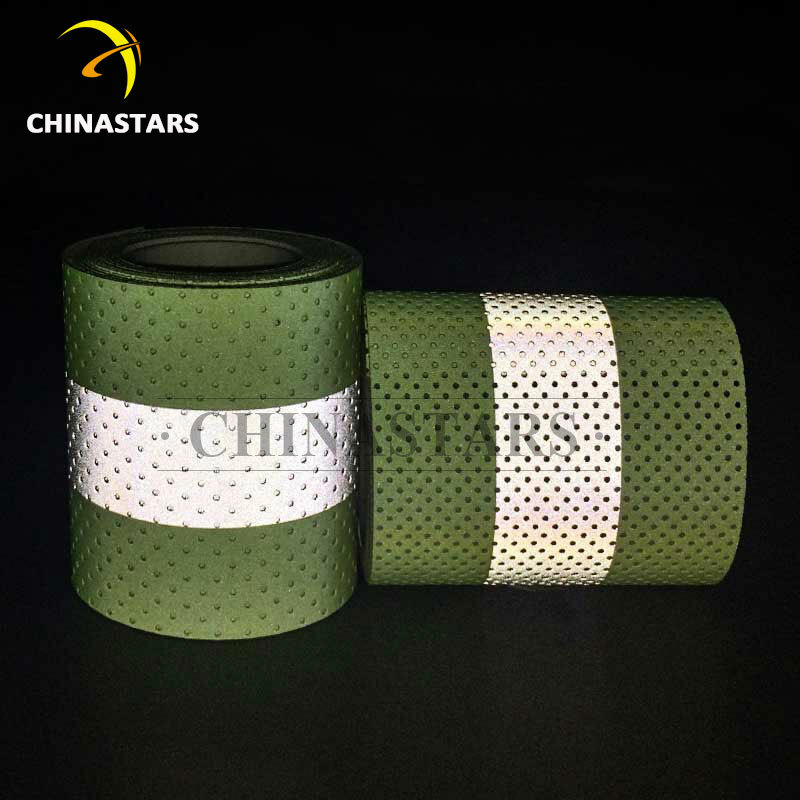 The diameter of holes and spacing among the holes can be customized according to requirements. 3. 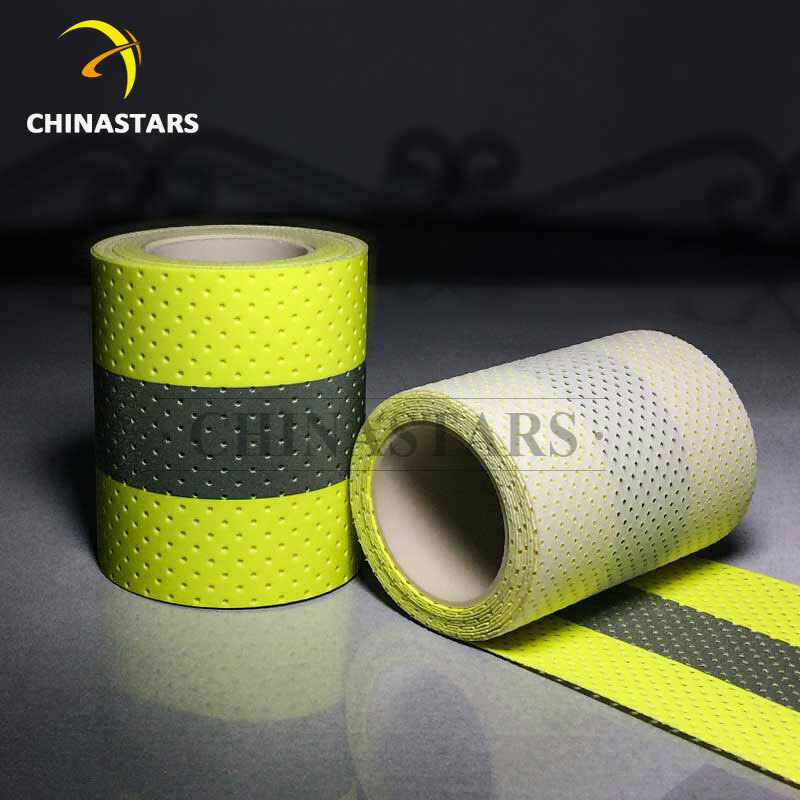 More economical compared with the perforated FR reflective tape with sewing path. 4. 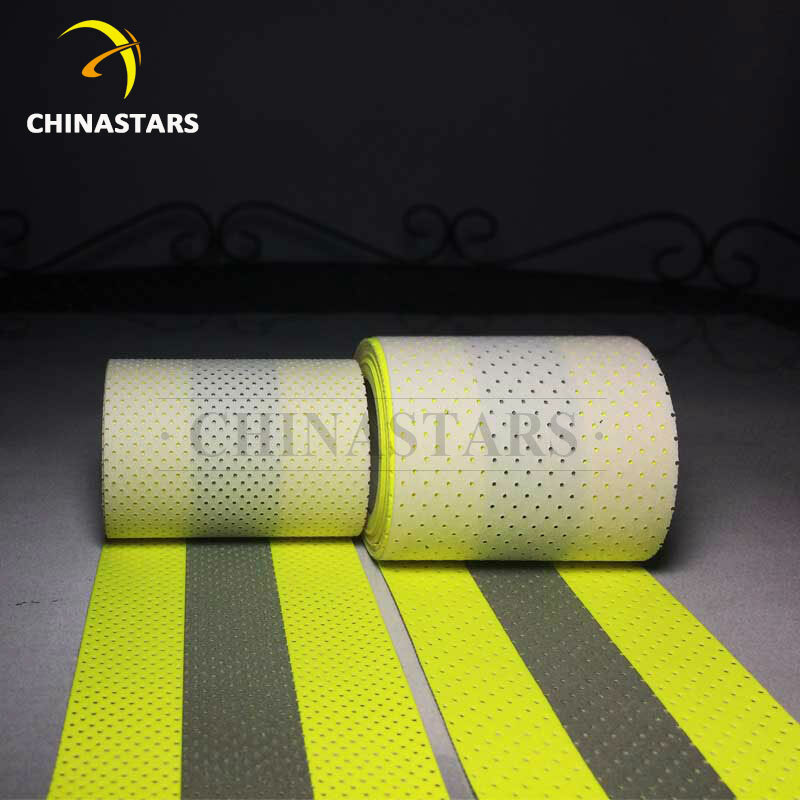 FR reflective tape used for perforating is certified to meet the standard of EN ISO 20471, ANSI 107-2015, EN 11612, EN 14116, ASTM F1506, EN 469 and NFPA 701 etc. 5. Recommended for Medium and Heavy Weight Fabrics.